Free money for innovation is always a good idea. The Pepsi Cola Company has begun a program to give away $1,300,000 each month to fund great ideas voted on by the public. You can apply, and make your project submissions online. Pepsi accepts up to a 1000 applications per month. Although this month is already filled up, you can still submit your application for the next submission cycle which begins on March 1st. Grant money will be awarded in amounts of $5k, $25k, $50k, or $250k. That's a lot of cans of soda. 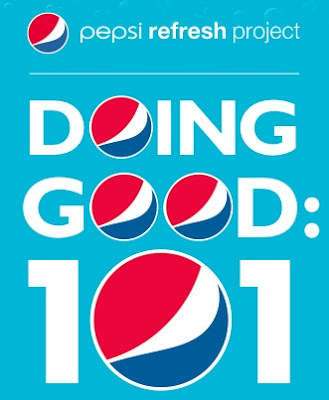 The purpose of the Pepsi Refresh Project is that "people, businesses, and non-profits with ideas that will have a positive impact." As a member of the public, you can go online and vote for up to 10 of your favorite ideas daily. If you submit your own grant proposal, you are allowed to vote for it. It's populism on steroids. The categories are: Health, Food & Shelter, The Planet (Earth, I assume), Neighborhoods, Education, and my favorite: Arts & Culture. I've already seen some cool music-related projects on the submissions list, including a composer looking to produce a new musical. Pepsi has enlisted subject area specialists as advisers for each category of grant consideration. For example, the Arts & Culture Ambassador is blogger Rebecca McQuigg Rigal. Ms. Rigal is said to be a "trend analyst, consultant and writer in the areas of arts and culture, new media, youth trends, retail, fashion, marketing and consumer behavior." (Hey, that job description sounds like what "Deconstructing-Jim" is about. I didn't even know that I was an onlin e "Arts & Culture Ambassador" Look mom, I'm an Ambassador!!!). It's great that the Pepsi Generation has wrestled control of the Internet out of the hands of the Department of Defense (DARPA). Let's monitor the Pepsi Refresh Project for its results. Pass me a Coke, err... 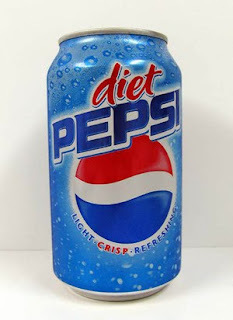 Diet Pepsi, please.